Language Learning App is becoming popular in the new generations of mobile phones as they are now extremely advanced. Further, it enables to handle complex applications and multimedia. For Instance; With over 200 million users - Duolingo is top language-learning apps because of its effective curriculum, clean design, and appealing gamification. The app has been able to stay dominant on the market. We have studied the Duolingo's success factors, found its drawbacks and estimated an MVP for a similar app. Read the article to learn more. One of the most popular examples of learning a language with chatbots is none other than Duolingo – a Pittsburgh based language learning app startup, which is a free language learning platform. It also crowdsources translations. 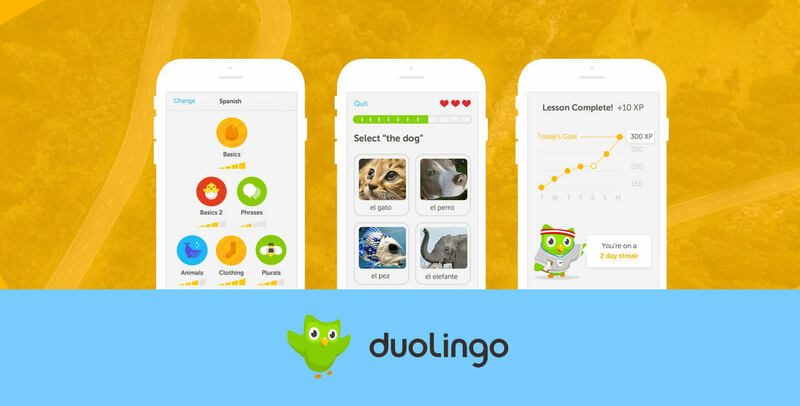 With receiving Apple’s app of the year 2013 and Google Play for 2014, Duolingo has earned a gigantic amount of user. The success has provoked many startups to think how to create an app like Duolingo for the industry. Well, we see how education apps are gaining the momentum of the mobile app industry. Thus it's quite necessary to understand what are the essential feature to integrate into the language learning app to hit the large customer base. Suppose you create a language learning app with months of efforts, hard work and brainstorming – not to miss the time and money investment. But you cared less about the user interaction and experience. The app you create is messy – overloaded with information here and there. You left your user wondering what to do next! Thus, it’s highly important that you keep your language learning app pleasant, clean and convenient to use. And that calls for a user-friendly and minimalistic design. The design should create a clear roadmap to use the app. Whether it’s the navigation menu, course module or a game, give special importance to the UI and UX both. If an app reminds the important things like the course to complete if the user abandons the app for a day or two, the user won't go. It contributes to the motivation sector of an app by reminding users how negligent they are, it is an important aspect. Undoubtedly, there will be many more things to note when you think of how to create an app like Duolingo. Hence, you need to finalize features, set the UX, think of cost and lot more. When your fundamentals are clear it will help you get started with your language learning app idea. Are you looking for top Education App Development Company? Fill in the quote given below as we make understand your language learning project.